During the Virtual Undergraduate Town Hall Event, you will join students from around the world in a virtual mentoring event where you will learn about cutting edge research in the field of computing. You will have the opportunity to ask distinguished computer scientists any questions you might have. Ever wonder what is it like to work at a national laboratory? 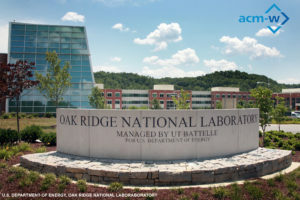 The Oak Ridge Leadership Computing Facility (OLCF) is one of two facilities established by the Department of Energy Office of Science. This talk will give a brief overview of the different teams involved, and the specializations and responsibilities of each team with an emphasis on large-scale system testing and acceptance of the OLCF’s next generation supercomputer, Summit. Are you an undergraduate student interested in exploring research in computer science? Research experiences for undergraduates create an opportunity to be directly involved in a research project and interact with graduate students and professors on an ongoing basis. This experience is invaluable if you are considering graduate school because it provides a close-up view of the graduate school experience and increases competitiveness as an applicant for graduate admissions and fellowships. This talk will discuss several opportunities available to undergraduates, in particular, the CRA-W CREU program and opportunities for undergraduate students at the national laboratories. Post-Discussion Chat: Join Verónica G. Vergara Larrea & Lori Pollock for a chat to continue the discussion about undergraduate research opportunities, meet fellow students, and share your experiences. Verónica G. Vergara Larrea is originally from Quito, Ecuador. Verónica earned a B.A. in Mathematics/Physics at Reed College and a M.S. in Computational Science at Florida State University. Verónica has six years of experience in the high performance computing field and is currently working as an HPC User Support Specialist at the Oak Ridge Leadership Computing Facility. 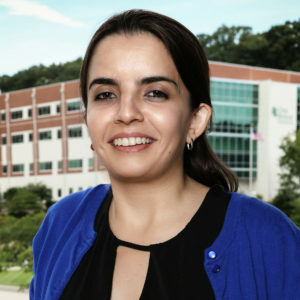 In addition to providing assistance to OLCF users, Verónica is part of the systems testing team and leads acceptance for Summit, ORNL’s next generation supercomputer. Her research interests include high performance computing, large-scale system testing, and performance evaluation and optimization of scientific applications. Verónica is a member of both IEEE and ACM and serves in the ACM SIGHPC Executive Committee. Lori Pollock is a Professor in Computer and Information Sciences at the University of Delaware. She earned her Ph.D. and M.S. in CS at the University of Pittsburgh in 1986 and 1983, respectively, and her B.S. in CS and Economics at Allegheny College in 1981. 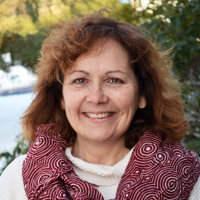 Her research focuses on program analysis for building better software maintenance tools, software testing, energy-efficient software, and computer science education. She is an ACM Distinguished Scientist and was awarded the ACM SIGSOFT 2016 Influential Educator Award, University of Delaware’s Excellence in Teaching Award and the University of Delaware’s E. A. Trabant Award for Women’s Equity. She has actively worked on improving the participation of women and other underrepresented groups in computer science for many years. She serves on the Executive Board of the Computing Research Association’s Committee on Education and Committee on the Status of Women in Computing (CRA-W). She is also leading Partner4CS, a project towards meeting the CS10K goals in the Delaware region. All are welcome to participate. Register here. Are you part of an ACM-W chapter or Women in CS/CSE group? Check out our flyer on how to participate in this webinar event as a group!